Histopathology Test — What Is It? 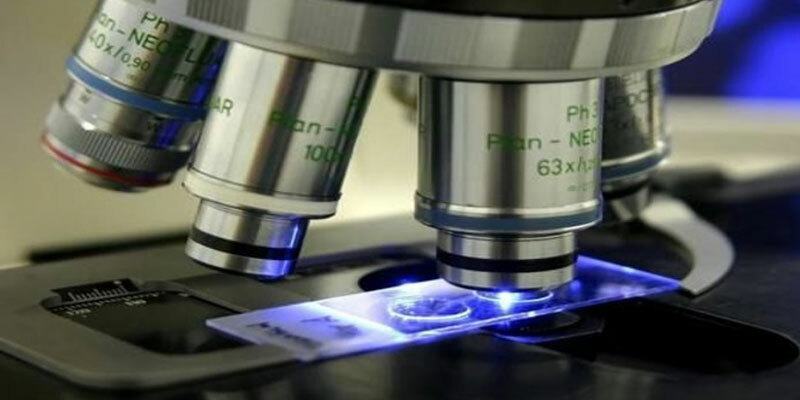 Histopathology test is a microscopic examination of biological tissues which is performed to observe the appearance of the diseased cells and tissues of the body with great detail. The word ‘histopathology’ is derived from a combination of three Greek words- Histos, meaning — tissue, pathos, meaning disease or suffering and logos, meaning study in this context. It is the study of any type of microscopic changes in the tissues which are caused as a result of diseases. Larger specimens- The larger specimens include organs or parts of organs that are removed during surgical operations. For instance, large bowel after a colectomy, tonsils after a tonsillectomy, etc. Pieces of Tissues- The test also involves pieces of tissues that are taken for performing the test. Fluid and tiny pieces of tissues- Fluid and very small pieces of tissues (individual cells or group of cells or fluids taken from around the lungs, etc.) can be obtained via a fine needle aspiration (FNA). The samples of the tests performed by the histopathology laboratory are primarily used in clinical medicine which typically involves a biopsy process, i.e. a surgically removed sample from a patient for detecting the presence of cancerous cells in the body. Histopathology test is done by a specialist physician known as Histopathologist. The specimens taken out during the test are processed using special histological techniques at a specialised histopathology laboratory. The disease cells and biological tissues are also studied for several other reasons, such as — to investigate crimes including to look for causes of injury or death, to examine historical artefacts containing biological tissues, to study regarding ancient diseases also known as paeleopathy by using histological techniques. As mentioned in the histopathology test list, some of the specimens that are required to be taken out from the body parts need initial tissue preparation. These are then analysed using appropriate techniques. A positive result indicates that the cancer cells are found in the sample of tissues and cells of the body. A negative result indicates that the no cancer cells are found in the sample of tissues and cells of the body.